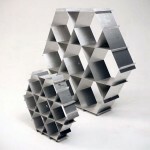 Here’s a piece of furniture that defines the meaning of ‘hiding in plain sight’. 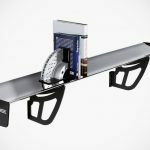 What everyone sees is a regular, well-crafted piece of wall shelf that’s good for up to 20 pounds (or around 9.1 kilograms) of objects, but in reality, it is more than meets the eyes. What looks like a beautiful, carved bottom is actually a secret compartment that provides a safe haven for a bunch of small items like passport(s), cash, keys, or even a small conceal firearm if you so choose to. A magnetic mechanism ensure the secret compartment remains close when you want it to, while the included key lets you further secure the compartment – in case the burglar knew where to look. 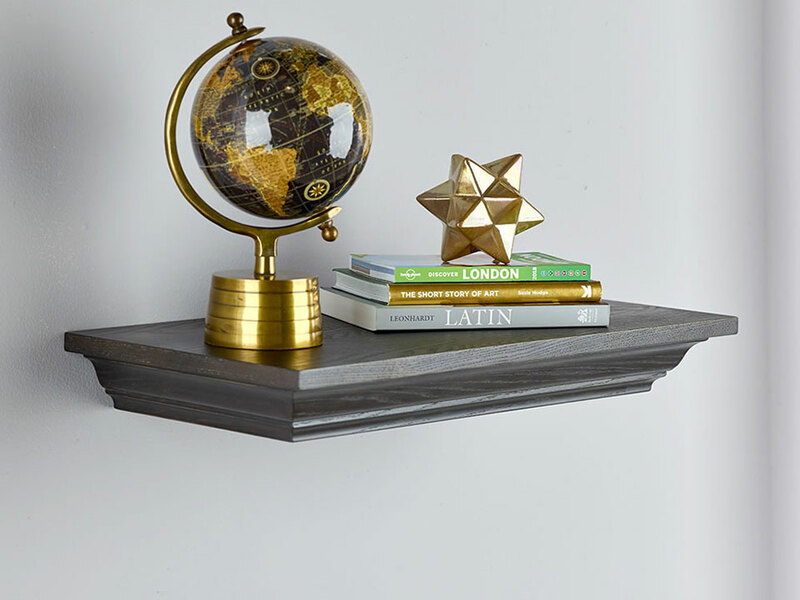 The shelf itself is designed to blend seamlessly to your home decor with its timeless solid wok veneers and oak textured finish. 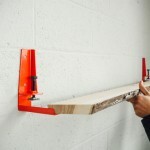 The Secret Compartment Shelf, as it is called, comes with the necessary hardware to mount it flush to the wall to create a hanging shelf look. 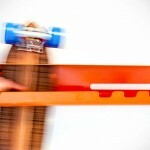 Now, shelf with hidden compartment like such is not new. It has been around for years. 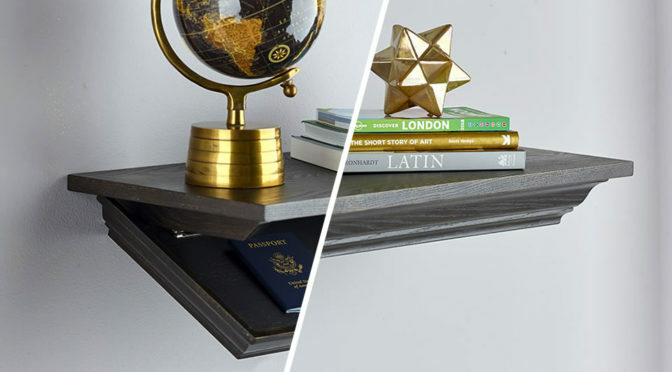 If you don’t want to drop $159.95 for it, you can actually cobble one up yourself, or if you prefer drawer-style design or any other design, you can find alternatives selling on Amazon, Etsy and a bunch of other makers/retailers. 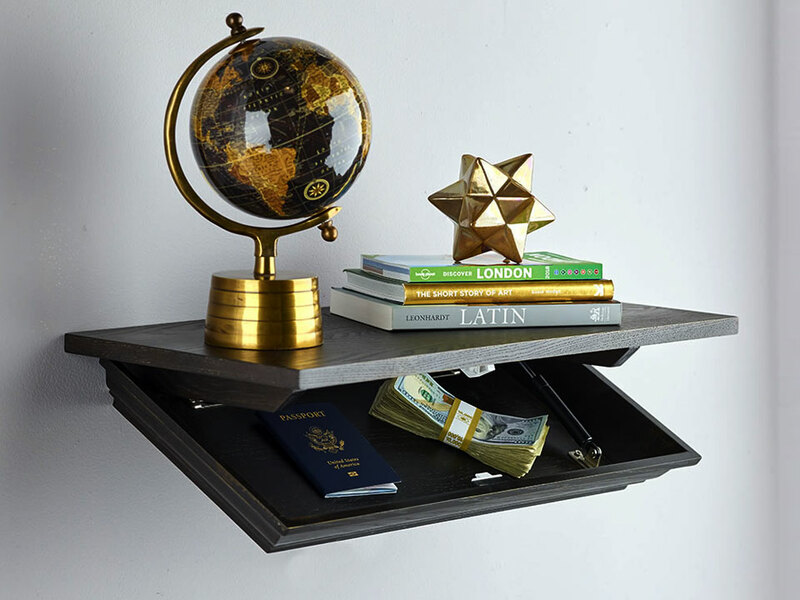 But TBH, it seems to be that The Secret Compartment Shelf we saw on Hammacher Schlemmer is one of the most affordable. Well, that kind of surprises us because, our impression of Hammacher Schlemmer is, it is the purveyor of all-thing very expensive. I guess we were wrong.